This article originally appeared in The Brechner Report. The Tampa Tribune reporter Howard Altman submitted a Freedom of Information Act request to the Department of Veterans Affairs earlier this year to learn the names of hospitals where 19 veterans died due to medical screening delays. The b(5) exemption cited by the VA potentially covers any “inter-agency or intra-agency memorandums or letters” and Congress intended its application to be narrow in scope. Agencies, however, are increasingly citing the b(5) exemption to hide any “draft” or “predecisional” document from the public, leading to the nickname the “withhold it because you want to” exemption. In addition to hiding potentially embarrassing or illegal activities at the VA, the b(5) exemption has also been used to withhold historically significant documents on the 20-year-old Rwandan genocide; shield a 30-year-old history of the 53-year-old Bay of Pigs invasion from public scrutiny on the spurious grounds that its release could “confuse the public;” hide a report critical of the Department of Justice’s workplace diversity initiatives; and deny access to the DOJ’s Office of Legal Counsel opinions, which form a body of law that binds all federal agencies concerning highly controversial programs, including enhanced detention and interrogation, targeted killing programs, and NSA dragnet surveillance. 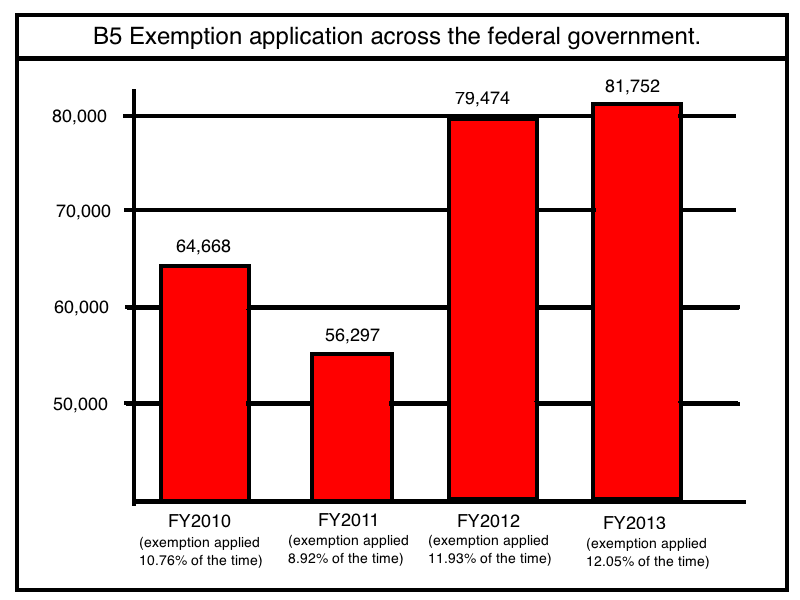 According to statistics compiled by The Associated Press earlier this year, the b(5) exemption was invoked a record-breaking 81,752 times in 2013, and was applied to 12 percent of all FOIA denials across the federal government. These numbers confirm that the b(5) exemption is proving to be an increasingly attractive tool for agencies to deny information, despite the fact that this exemption has the highest possibility for discretionary release. If agencies followed President Obama’s 2009 FOIA memo instructing all agencies “to adopt a presumption in the favor of disclosure,” and Attorney General Holder’s guidance that documents should not be withheld “merely because [an agency] can demonstrate, as a technical matter, that the records fall within the scope of a FOIA exemption,” we should be seeing the application of the b(5) exemption a lot less – not more. Sadly, it is clear that the President and Attorney General’s mandates have not motivated intransigent agencies to embrace discretionary releases. Agencies’ continued misapplication and overuse of the b(5) exemption, despite President Obama’s and Attorney General Holder’s clear directives to the contrary, has prompted a longstanding push by the open government community for a legislative fix to end agencies’ practices of withholding too much information. These efforts to rein in the b(5) exemption recently culminated in the Senate when Sens. Leahy (D-VT) and Cornyn (R-TX) introduced legislation to fix the b(5) loophole: the FOIA Improvement Act of 2014, which would stipulate, among other improvements, that historical documents (documents created over 25 years ago) cannot be withheld under b(5), and would require agencies to balance the benefit to the public interest against the benefit of government employee confidentiality before withholding documents. The b(5) pre-decisional exemption was initially conceived to prevent government employees from “working in a fish bowl,” and to allow employees to give each other –and their supervisors– candid advice. These protections should and will remain. President Obama has correctly stated, however, that the principles behind the Freedom of Information Act prohibit the government from withholding information to prevent embarrassment, hide errors or failures, or because of speculative or abstract fears. Unfortunately, these are precisely the things the b(5) “withhold it because you want to” exemption is being increasingly used to hide, as evidenced so plainly by the obfuscation of strictly factual information surrounding the deaths of 19 veterans waiting for medical treatment. As Sens. 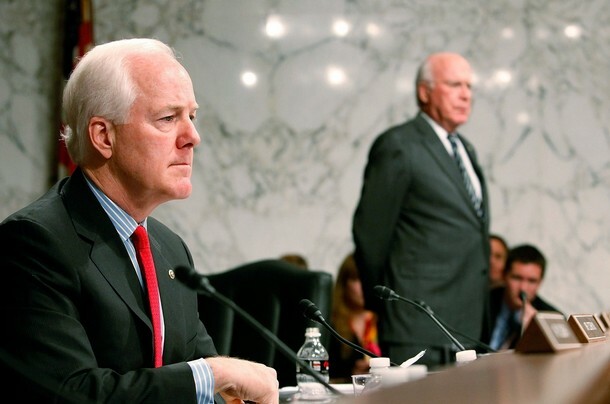 Leahy and Cornyn have realized, the Freedom of Information Act’s b(5) loophole must be legislatively closed to prevent agencies from abusing this exemption to “hide errors or failures,” and to ensure that the principles of open government are fulfilled. 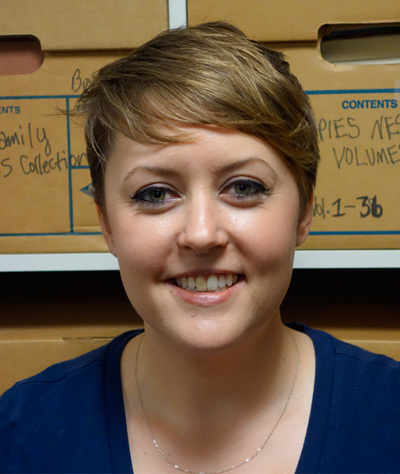 Lauren Harper is a Research Assistant at the National Security Archive focusing on FOIA advocacy and open government, as well as on U.S.-Iraq relations.